-Kickoff Match: Baron Corbin vs. Apollo Crews: Decent match between the two former rivals, as back in NXT, it was Corbin who interfered in a NXT title match and cost Crews the gold. In this match, it was Crews showing off the agility/power maneuvers and Corbin displaying his pound and ground attack style. Corbin picks up the win with the End of Days (still one of the most visually impressive finishers in WWE today) and Crews continues his losing streak. -JBL, Mauro Ranallo and David Otunga are your host for this evening. Smackdown Women’s Title Match Six-Pack Elimination Match: Becky Lynch vs. Alexa Bliss vs.Naomi vs. Carmella vs. Natalya vs. Nikki Bella: This was a fun match and the perfect opener for the show. Instead of two competitors fighting in the ring while the other four wait on the apron to tag in, it was tornado rules, meaning anyone can get a pin at anytime. Lots a impressive moments in the match with Bliss (channeling Harley Quinn with her ring attire) hitting a Code Red, Naomi busting out Cattle Mutilation (obviously sucking up to her general manager) and springboard dive to the outside and a Tower Of Doom spot. It would come down to Carmella and Becky Lynch, with Lynch getting the win with the Dis-arm-her finisher to win her first title in WWE. Post match interview happens with Lynch where she thanks the fans for their support and throws in a Rocky line at the end. I think the Smackdown Women's Division will be in good hands with Lynch as the face, Natalya, Naomi and Nikki Bella as the veterans and Carmella and Bliss as the young upstarts. Although RAWs women division has the star power, these ladies have the potential to not only rival, but surpass the red brand. Let's see if they can pull it off. -Random thought: David Otunga calls Naomi the "dark horse" during her entrance and screams out, "SHO NUFF!". Not sure if he’s “The Masta”, yet, but he’s working on it! -An advertisement of RAW's Clash of Champions appears and its two weeks away! Don't miss it! -The Miz is backstage with teenage actor Jagger Eaton, star of the Nickelodeon show Jagger Eaton's Mega Life. Miz is his usual snob self while Eaton is trying to get him on his show. It’s disappointing that they have Miz doing comedy when just a couple of weeks ago, he gave the promo of his career with such anger and passion. -We then cut to Bray Wyatt attacking Randy Orton somewhere else backstage. Wyatt is seen crushing Orton's ankle with a door. A ref breaks it up with Wyatt gloating at his actions. -Second Chance Challenge Match: The Usos vs. The Hype Bros: Backstory. In the Smackdown Tag Title Tournament, The Usos faced off against American Alpha and were defeated in quick fashion.After the match, The Usos then took their frustration out on American Alpha by attacking them and injuring Chad Gable. An injured Chad Gable means American Alpha can't continue in the tournament, so General Manager Daniel Bryan gave both The Usos and The Hype Bros(who defeated The Vaudevillians to advance) an opportunity to replace Jordan and Gable and win the tag titles, so here we are. This was a basic tag match with the story being The Usos have a new attitude. The have black and white gear and no longer perform their war dance entrance. The twins are all business. The Usos win it via the Tequila Sunrise submission and advance to the title match later tonight. -Random thought: Mojo Rawley is unintentionally scary, for some reason. He's like that one friend you ask is coming out with the crew for a night out and you find out he is coming, so you lie and stay home cause you know he gets crazy and you don't want to deal with him. -Heath Slater and Rhyno talk with Renee Young backstage and Beulah (Slater's wife) gave Slater some artificial crab dip and now he's constipated. That's not good. -Connor's Cure video appears. A good cause and kudos to WWE. -The Cruiserweight Classic promo video appears. Its down to four competitors: Zack Sabre Jr., Kota Ibushi, TJ Perkins and Grand Metalik. The conclusion of the tournament will be a two hour live special this Wednesday on the WWE Network. -We then cut backstage where The Miz is talking to Daniel Bryan about reevaluating his contract with more money and RESPECT. Bryan doesn't utter a word during all of this. Funaki sighting! Only fitting because he is Smackdown's #1 Announcer. On a scale of 1-10, Maryse is infinity. -Intercontinental Title Match: The Miz(c) vs Dolph Ziggler: A solid outing between the two Cleveland natives, but if you've seen these two wrestle each other before, then this match was nothing different. Nice spot in the match where Miz mocks Daniel Bryan with the running dropkicks to the corner and the “YES” chants for good measure. Random Thought: David Otunga : “What does Ziggler have to do to win this match? Gah lee!” Well he sounded like bad 50s sitcom. The finish came with Maryse spraying Ziggler in the eye with mace(?) and then Miz hitting the Skull Crushing Finale for the pin. The Miz continues this reign as champion. Who will defeat The Miz? I'd say John Cena, since he's never held the IC title in this decorated career. -Bray Wyatt comes out and the fireflies are in full effect in Richmond. He says that since Orton has been taken out, the ref should count to 10 and just make him the winner already. The ref does and Wyatt gets the "win". As he goes to leave, the ring announcer then announces that Wyatt will compete in a No Holds Barred Match against...Kane.Wouldn't have been my first choice to replace Orton, but things happen. -No Holds Barred Match: Bray Wyatt vs. Kane: This match was as safe and basic as you're gonna get with a No Holds Barred match. We got some chair action between the two and we even got a senton through the announce table from Wyatt. The finish came with Bray Wyatt being in control, then Orton comes out with his knee wrapped up from the attack earlier in the night. Orton's presence distracts Wyatt, just long enough for Kane to get an advantage then all of a sudden, RKO to Wyatt. Kane then capitalizes with a chokeslam and gets the win. The feud will continue and most likely conclude at the next Smackdown PPV due to Orton's injury. -AJ Styles(still with John Cena's sweaty armband) is seen backstage with two enhancement talents, talking about life as a struggling indy talent and them never being the face that runs the place like him. -A WWE Network promo video appears. -The next time Smackdown LIVE! will be on PPV is WWE No Mercy, LIVE Oct. 9th from Sacramento, CA on the WWE Network. -Smackdown Tag Team Title Match: Heath Slater/Rhyno vs. The Usos: Backstory is that Heath Slater was the only WWE Superstar NOT drafted to either RAW or Smackdown. For weeks he pleads his case to both brands to sign him and is given multiple chances, only to fall short. Then he once again pleads to Daniel Bryan and Shane McMahon and they give him one more chance: If he can sweep the Smackdown Tag Title Tournament, not only does he gets the titles, but a Smackdown contract. He accepts, recruits former ECW Champion Rhyno as his partner and gets all the way to the finals. A good match with the crowd firmly behind the Slater/Rhyno tandem. The finish came with Rhyno hitting the GORE on one of the Usos for the win. Post match interview with Slater/Rhyno and Slater tells his wife Beulah they're upgrading to a double wide trailer! Good for Heath. -Through Fire's "Stronger" is the theme song for tonight's show. -We get the KFC commercial with The Miz(dressed as a chicken) and Dolph Ziggler (dressed as Colonel Sanders). They just competed a hard fought IC title match and now you see them doing comedy. WWE needs that money, I guess. -An Ambrose/Styles video package appears. -WWE World Heavyweight Title Match: Dean Ambrose(c) vs. AJ Styles: The match of the night, by far. Great moments came about such as Ambrose busting out a Glam Slam (shout out to Beth Phoenix), a dive from the announce table into the crowd on Styles and Styles hitting his beautiful springboard 450 and nearly dying with Ambrose shooting him into the post on the apron.Styles hits a low blow behind the referee's back and connects with the Styles Clash and we have a NEW WWE World Heavyweight Champion. AJ Styles has been the MVP of WWE programming in 2016 and this title win solidifies his status as a top player in WWE. Overall thought of the show: For the first PPV of the Smackdown LIVE! Brand, this was a step in the right direction. You have one of the four horsewomen as the women's champion, arguably the best villain in the company as the Intercontinental champion, the feel-good tag team of Slater/Rhyno as the tag champions and arguably, the best wrestler in the company (which is saying a lot) is now the top guy on the show as WWE Champion. There is a lot to look forward to on the blue brand and this PPV shows it. One issue that the show revealed as well, was the lack of star power. With the absence of John Cena and injuries plaguing American Alpha and Randy Orton, Smackdown had the big guns missing action and it showed. With this being Smackdown's first PPV show, it had to be a home run event to make fans come back for No Mercy in October and it fell short of that. With The Usos wrestling two matches and Kane being Randy Orton's replacement in the Wyatt match, that goes to show the depth currently on the Smackdown roster. Will things look brighter come October? Maybe, but for now, the blue brand has to go back to the drawing board and see how they can make the next PPV a smash hit, with or without the Cena, Orton and American Alpha. 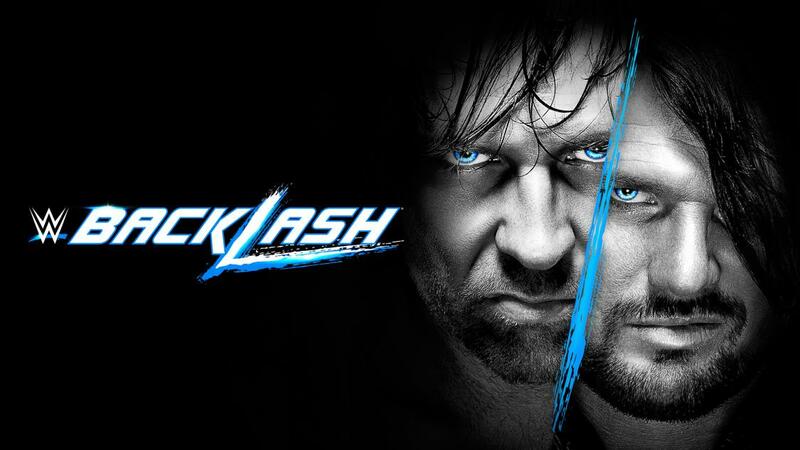 Match Of the Night: Ambrose vs. Styles: Styles was his usual phenomenal self and Ambrose brought the crazy. A recipe for a damn fine contest. Personal Enjoyment: The women's match: It reminded me of the old TNA X-Division shootouts from back in the day with all the competitors showcasing their talents. Alexa Bliss impressed me the most out of all the ladies in this match. I hope to see more of her in a prominent role. I also enjoyed Nikki Bella and Carmella continuing their feud. This feud could do wonders for Carmella if they play it right. If she can just showcase more personality, she'll be a star. So what did you think of the show guys? Hit or miss? Let me know in the comment section. Thanks for reading!